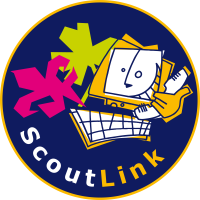 ScoutLink is a global, non-profit organisation that aims to connect Scouts and Guides from all over the world. We do this in many ways, but our 3 main services are IRC/Webchat (text chat), TeamSpeak (voice chat), and Minecraft. Although our busiest time of the year is during JOTI, we are online every day of the year. You can chat to Scouts of all ages worldwide, discover new cultures, learn new languages, and make new friends, as well as finding fresh ideas for camps, scout meetings, and your international programme! If you need help with anything while you are on ScoutLink, you can ask in our IRC/Webchat help channel, or you can fill out our contact form.